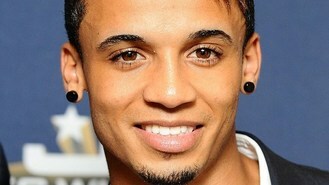 News - JLS star Aston for Got To Dance? JLS star Aston for Got To Dance? JLS star Aston Merrygold could be set for a judging role on Got To Dance. The boyband star - who found fame on The X Factor - has apparently been approached about joining the panel because producers think he is "perfect" for the Sky1 dance show, reported The Sun. A source said: "He'll be able to relate to the contestants as he made his name on a reality talent show himself. "But they will have to wait and see if he's available first." So far there have been three series of the programme, which sees dancers competing for a £250,000 prize, and they have all been judged by Diversity star Ashley Banjo, former Pussycat Doll Kimberly Wyatt and actor and tap dancer Adam Garcia. One Direction star Louis Tomlinson has revealed that all the screaming from the band's fans has left him partially deaf in one ear.